Quick, Easy, and Healthy Ketogenic Sweet and Savory Recipes to Promote Weight Loss! 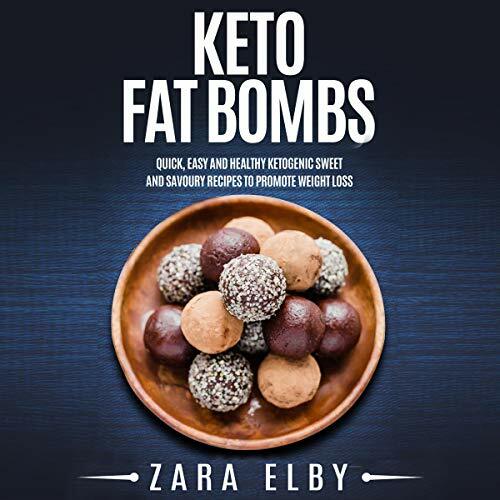 It is common knowledge that keto bombs are the go-to for keeping you going between meals. Getting the vitamins and nutrients you need throughout the day has never been simpler and stress free. This audiobook includes our tried-and-tested recipes, teaching you the best ways to help promote weight loss, increase your energy, satisfy cravings, and suppress your hunger! Our audiobook includes the most nutritious ingredients and recipes to keep you fuller for longer. Our recipes are quick and easy to make and provide fat-burning and energy-boosting sweet and savory treats. Meal Prep: The Essential Quick, Easy and Healthy Cookbook for Beginners to Meal Preparation and Batch Cooking!